The foreign ministers of Iran, Iraq and Syria held talks in Tehran today, pledging that they would carry on working together to fight the Islamic State. Iraqi FM Ibrahim al-Jaafari and his Syrian counterpart Walid Moallem were in Tehran to attend a previously scheduled conference on violence and extremism. 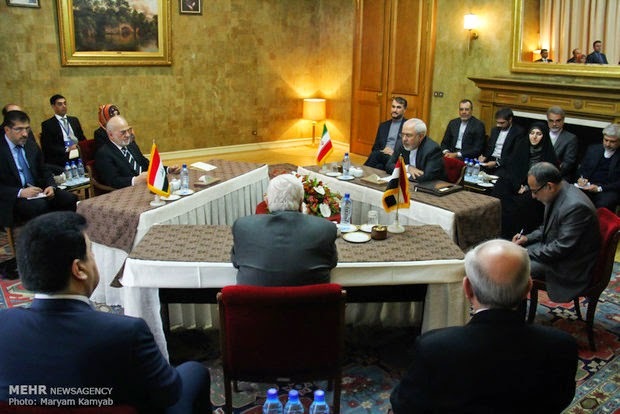 The rare trilateral meeting was initiated at the invitation of Iranian Foreign Minister Javad Zarif.